Named one of 11 must-read books set in high schools by Bustle Magazine. A Kindle bestseller in the literary gay/lesbian fiction category. A Dr. T.J. Eckleburg Book Club pick. The November 2014 Another Read Through Lesbian Book Club Pick. 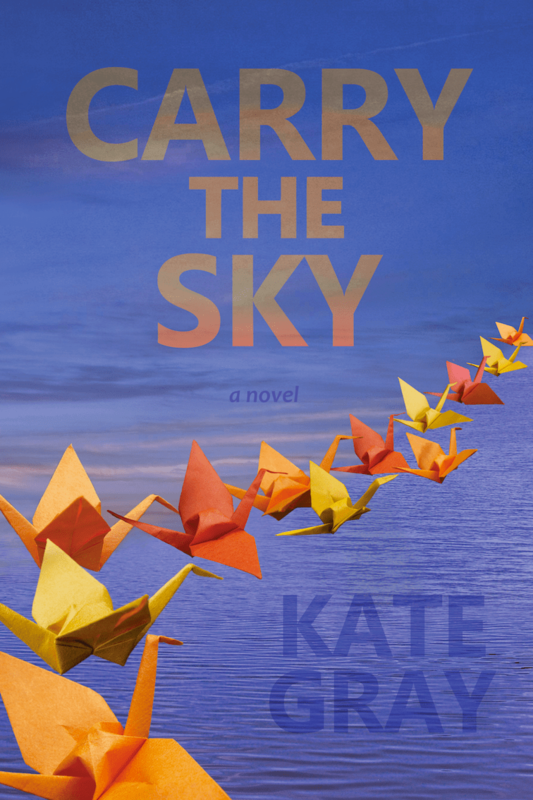 Kate Gray takes an unblinking look at bullying in her debut novel, Carry the Sky. It’s 1983 at an elite Delaware boarding school. Taylor Alta, the new rowing coach, arrives reeling from the death of the woman she loved. Physics teacher Jack Song, the only Asian American on campus, struggles with his personal code of honor when he gets too close to a student. These two young, lonely teachers narrate the story of a strange and brilliant thirteen-year-old boy who draws atomic mushroom clouds on his notebook, pings through the corridors like a pinball, and develops a crush on an older girl with secrets of her own. Carry the Sky sings a brave and honest anthem about what it means to be different in a world of uniformity. On tenterhooks until the book appears!